This traditional Amsterdam bar has been the place for journalists, artists, welders and the semi-intellectual for almost 50 years now. Here, you’ll find art on the wall, veal croquettes in the deep fryer and the city’s best terrace in the evening sun (and in the middle of the nine little streets). 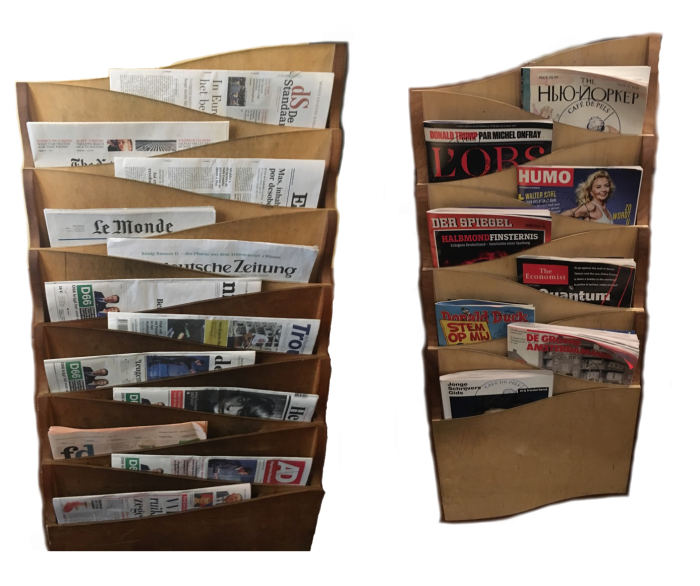 De Pels houses 12 fresh (inter)national newspapers and 8 high-quality magazines each day: De Standaard, The New York Times, El Pais, Le Monde, Süddeutsche Zeitung, de Volkskrant, Het Parool, NRC Handelsblad, NRC Next, Trouw, De Telegraaf, Financieel Dagblad, The New Yorker, L’OBS, Humo, The Economist, Der Spiegel, De Groene Amsterdammer, Vrij Nederland, and the Donald Duck. Who’s up for it? De Pels will reward €50 worth of unparalleled chocolates from pastry shop de Pompadour to the person who knows of a café – it can be anywhere in the world – that has more high-quality daily and weekly magazines per square meter of userspace. (De Pels has more than 1 per 2 square metres). 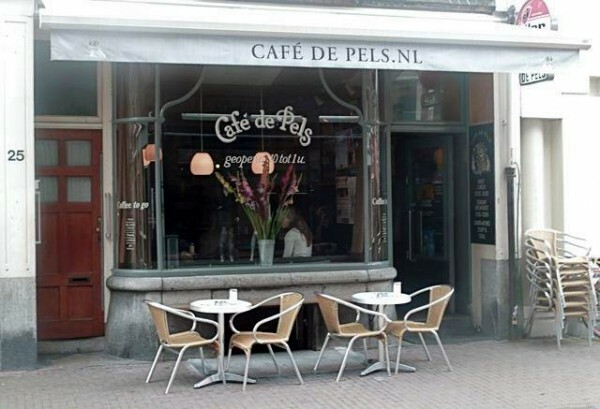 Starting at 9 o’clock in the morning and ending late at night, you can order breakfast, lunch, and snacks here at café de Pels. Additionally, we serve good coffee, hot chocolate and fresh orange juice until closing hour. Take a look at the menu. All our products come from renowned suppliers, and many of the things on our menu are prepared in our own kitchen, such as various cakes, jam and granola. 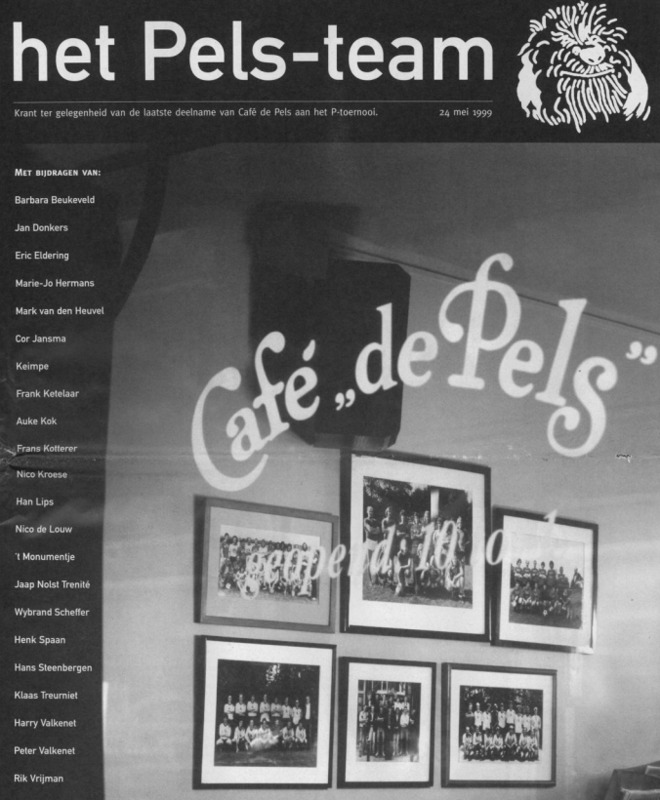 One-off newspaper in honour of the last P-tournament (Amsterdam café soccer tournament), which de Pels participated in. With contributions of, amongst others, Henk Spaan, Frank Ketelaar and Jan Donkers. 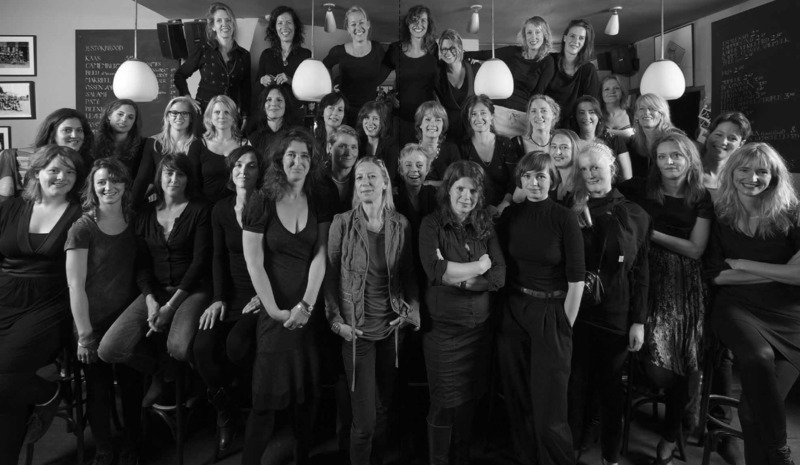 All the good looking, eloquent and nice women who ever ran the Pels bar (the famous Pelzinnen) speak about their favourite memory of the café and their boss. 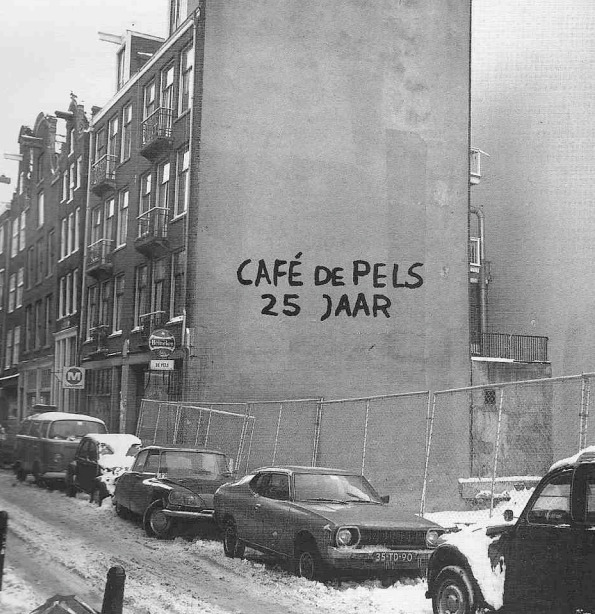 25 years of de Pels? This was celebrated with a very exclusive book. With (artistic) contributions of, amongst others, Matthijs van Nieuwkerk, Jan Dibbets and Connie Palmen.